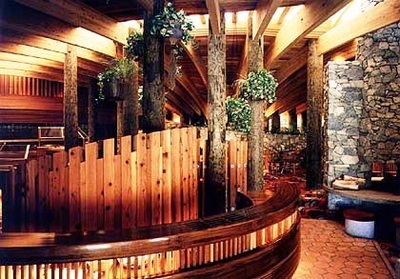 Kendrick Bangs Kellogg, who designed and hand-built the Onion House in his twenties, went on to garner international acclaim with his groundbreaking designs. Courtesy: New York Times, 2015. 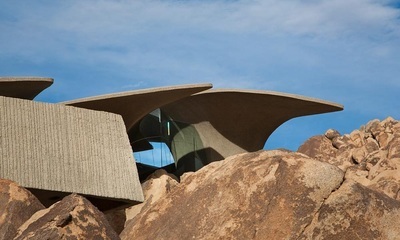 'Rock Legend' features Kelogg's High Desert House, as well as the Onion House. 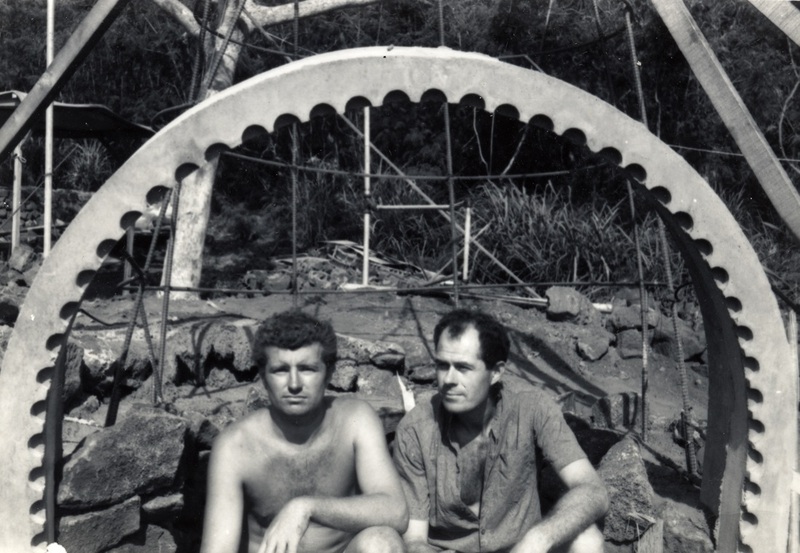 Kendrick Kellogg and William Slatton during the construction of the Onion House, 1961. 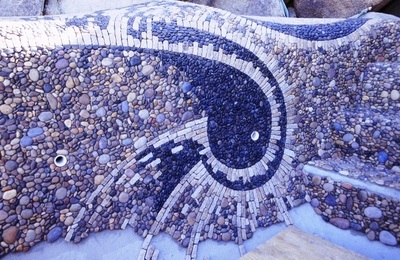 This photograph of a clam shell is an image Ken Kellogg found after he built the Onion House. The similarity is striking. 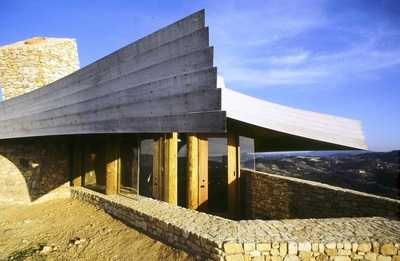 Kendrick Bangs Kellogg (born 1934), an American architect, is an innovator of Organic Architecture who built a wide assortment of distinctive buildings. 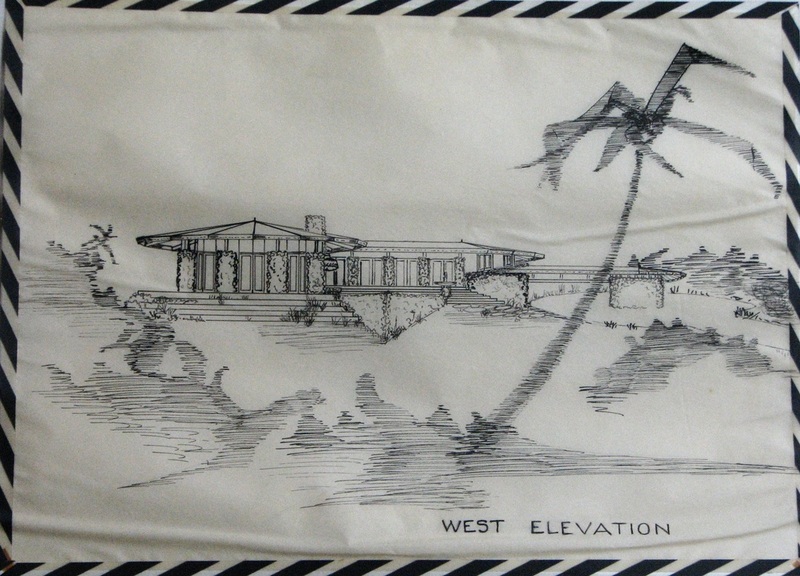 Homes include the Yen House, Wingsweep, the Joshua Tree house, and the Onion House. 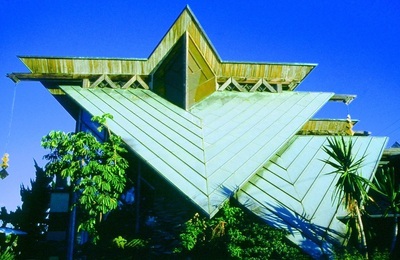 Public buildings include the Hoshino Wedding Chapel in Japan and Charthouse restaurants. 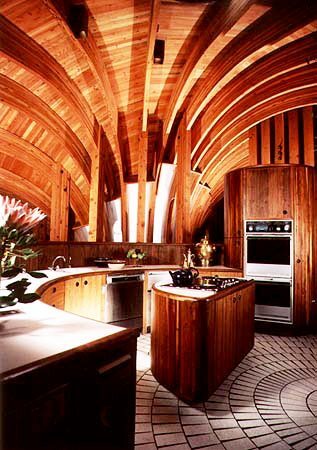 Kellogg's architecture does not fit neatly into the same category as Frank Lloyd Wright, Bruce Goff, Bart Prince, or other Organic Architects. Kellogg's architecture is unique to Kellogg. 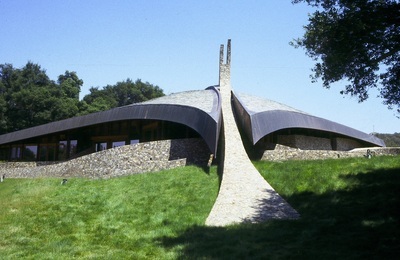 His work was described as "the Sydney Opera House meets Stonehenge ." 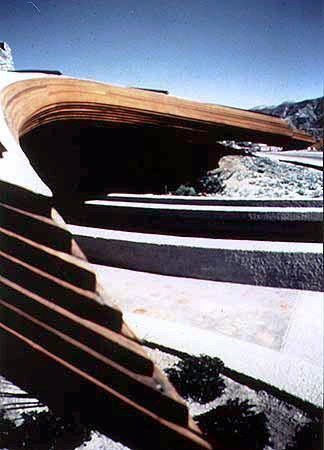 Kellogg's buildings, like Goff, Wright, and other examples of Organic Architecture, are studies of layered, segmented, and unfolding space. 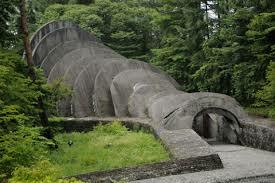 A big difference between Goff and Kellogg involves the feeling of permanence and impermanence in their architecture. 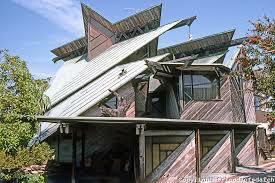 Most of Goff 's clients had moderate incomes, so he used inexpensive materials. Thirty years later, some of his art is popping apart. Kellogg was more fortunate. 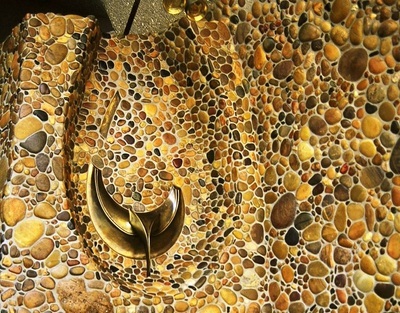 He worked for people who could afford copper, well-poured concrete and the best craftsmanship available. With Goff, part of the excitement is that one feels that the wind could shake the house down, so lightly is the structure tethered to the earth. Kellogg houses feel heavy, firmly connected to their foundations. 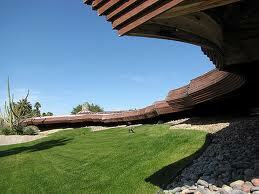 The beams and radiating members remind people of the stout keels and ribs in ships designed to weather storms. 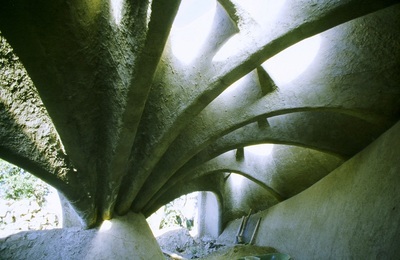 Kellogg's visible interior structure reminds observers of spinal columns that supported the weight of whales or dinosaurs. Kellogg said, "To realize truly creative architecture you need clients with the vision and imagination to make the most of any site. Great clients are those who allow an architect the latitude to give them what they didn't know they wanted until they have it! They are willing to risk being unique. The Hoshino Wedding Chapel in Japan is a good example, built for a client with a great sense of quality and beauty, and a desire to circumvent the restrictions of society. 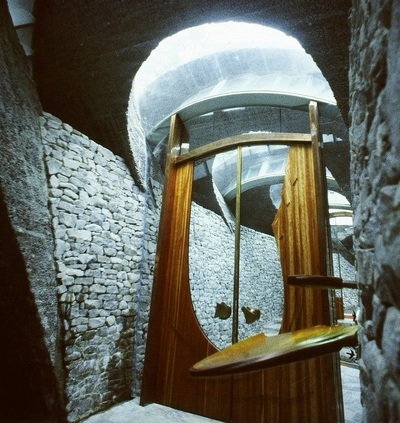 This much used rock and concrete chapel is a successful and popular example of architecture built for future generations." His work has been published in USA, France, Germany and Japan. 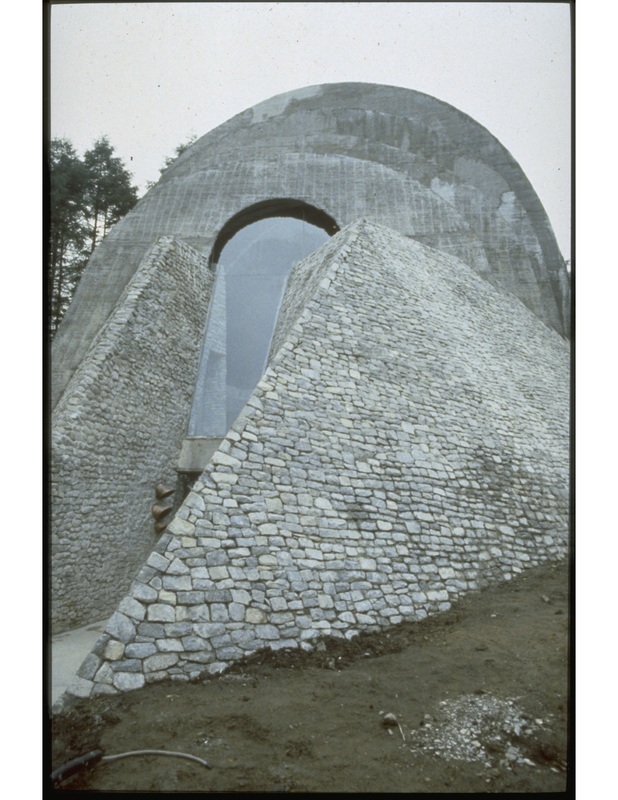 One of Kellogg's most celebrated works is the Hoshino Chapel in Karuizawa, Japan, which employs precast concrete arches and stone walls. 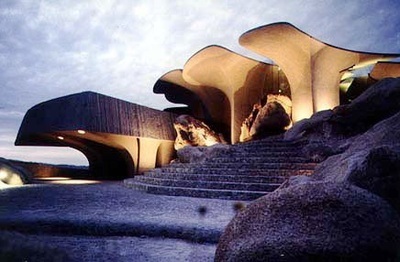 The Onion House, Kellogg's third design, is an early example of dramatic mingling of light and stone unique to his designs. 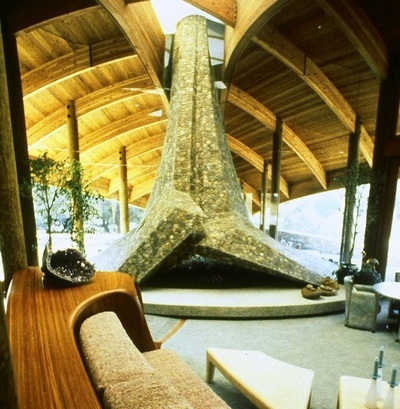 A landmark of organic architecture, it was constructed in Kona, Hawaii during 1961–62 for Elizabeth von Beck. 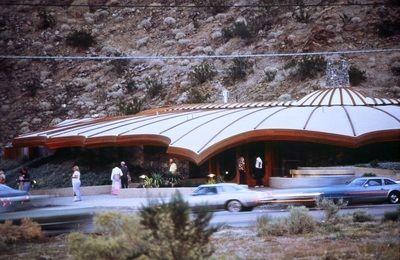 Hand-built by Kellogg, with the assistance of William Slatton, the design employs translucent arching roof panels. 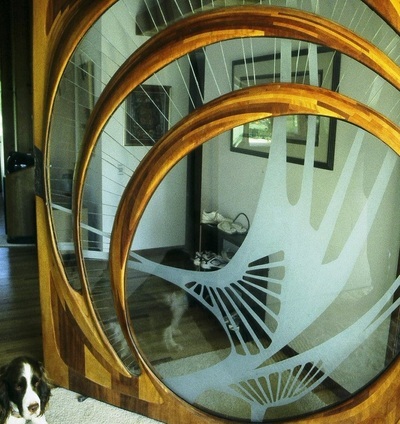 With no outside walls, the division between interior and exterior consists of screen or stained glass. 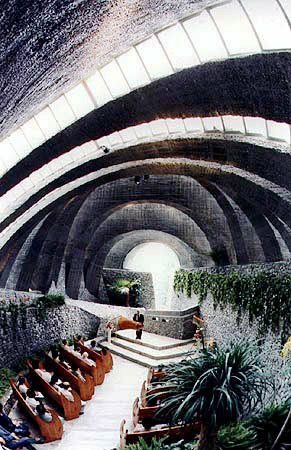 Massive lava rock walls form the central fireplaces and angled interior walls, while concrete arches radiate from the fireplaces to support the roof structures. 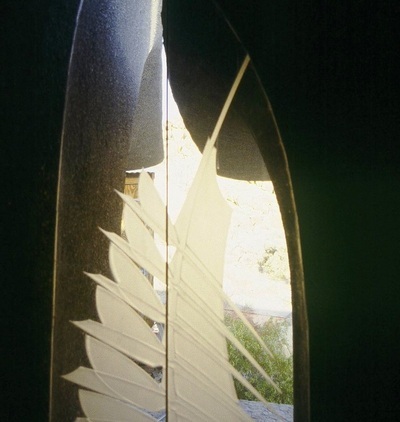 Stained glass throughout both structures and the mosaic dining tablewere built by artist James Hubbell. 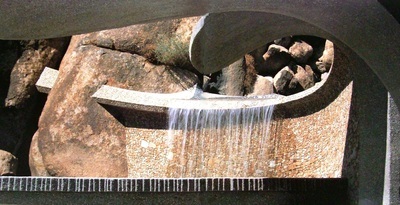 The curvilinear architecture of the three-dome complex is reminiscent of the fanciful creations of Antoni Gaudi in Spain, while the central fireplaces and geometric lines are shaped by teachings of Frank Lloyd Wright. 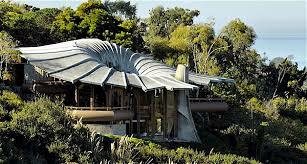 The inward curving form of the domes alludes to the curve of the native Hawaiian Hapu'u fern and implies the curl of the clam shell. The strongest influence is felt in the massive lava rock walls surrounding and supporting the structure, evoking the Hawaiian temple, heiau. 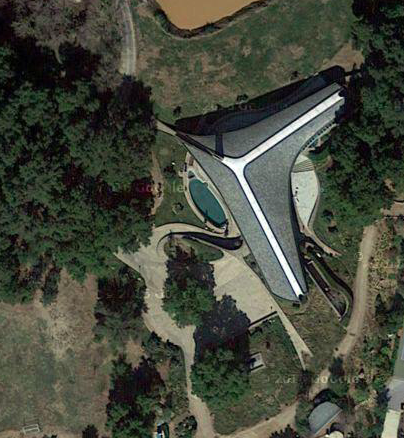 The two prominent domes are of translucent fiberglass resined curved panels crowned with hand-cut shingles topped-off with steel spires. 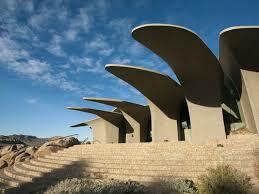 Each dome is ventilated at the top to take advantage of the natural ocean breezes. 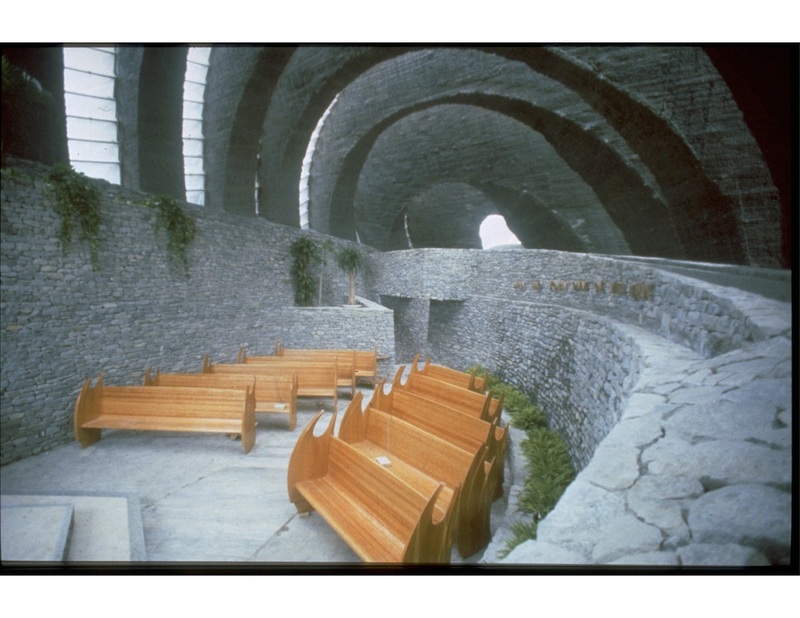 Full screening for year-round ventilation surrounds both domes. No other heating or cooling system is required. 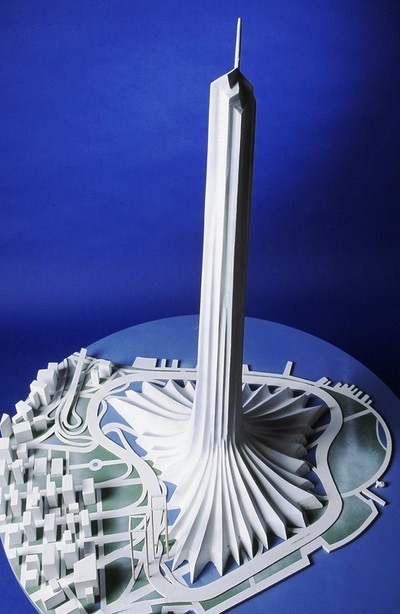 Some of Kellogg's designs remain unbuilt, like this skyscraper. 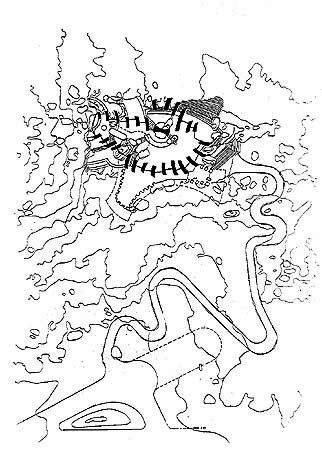 Kellogg designed two additional residences for the lower lots adjacent to the Onion House, which were never built. 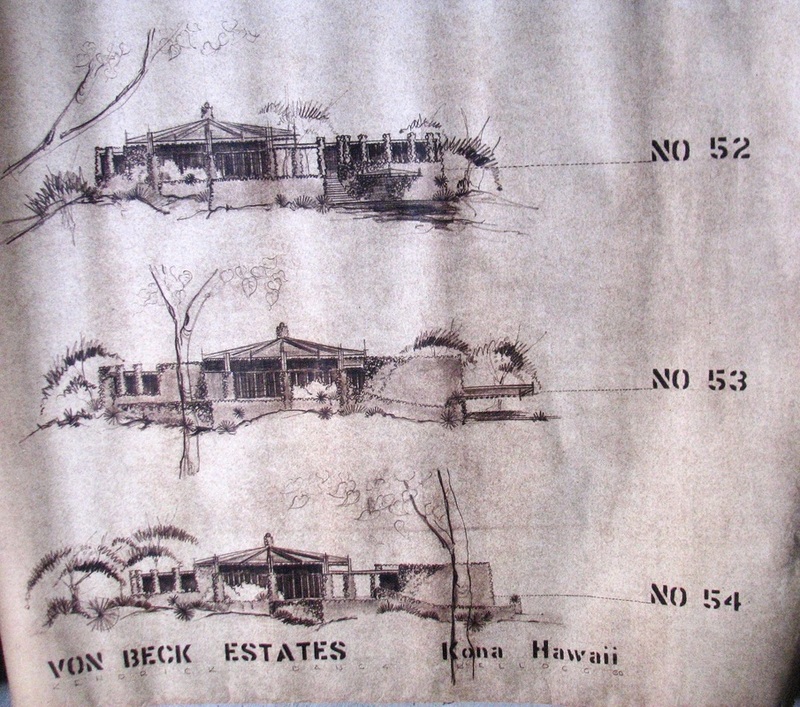 Elizabeth von Beck commissioned Kellogg to design three homes on the Kona Coast of the Big Island of Hawaii. Only the Onion House was built. 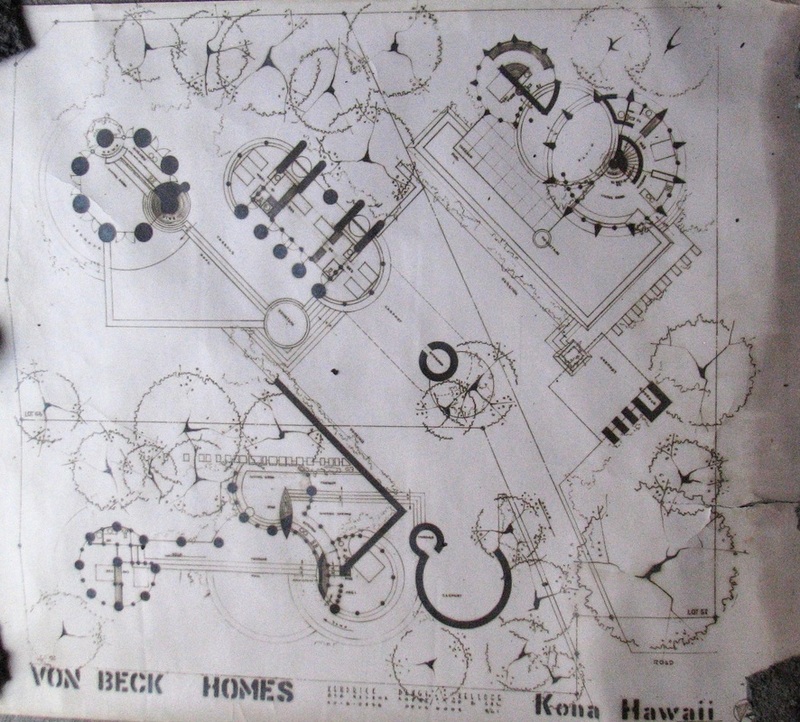 Two more homes were designed by Kellogg to go on the lower lots adjacent to the Onion House. Biography: Kendrick Bangs Kellogg was born in 1934 in San Diego, named for John Kendrick Bangs. Kellogg is related to Frederick Law Olmsted, "The Father of Landscape Architecture" (of the 1800s), who was a cousin to Kellogg's grandfather. 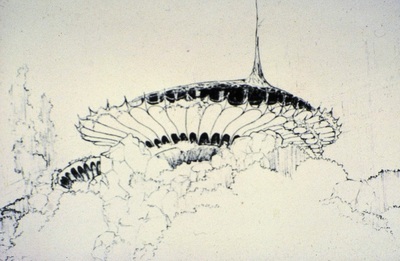 Olmsted's landscape designs were curvilinear and irregular, a significant break from the formal symmetrical patterns of the time, a practice which Kellogg sees himself continuing. Courtesy of the Wikipedia article on Kendrick Bangs Kellogg.